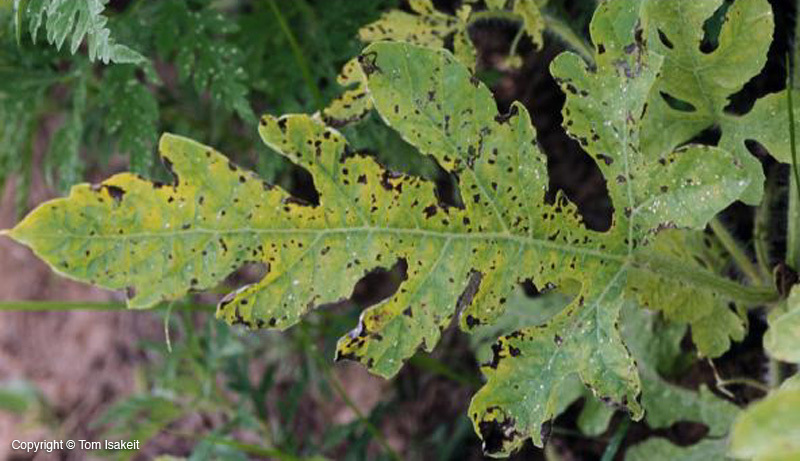 Symptoms appear first on crown leaves as small, brown‑black spots usually after vines begin to “run” (Image 1). 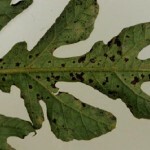 These lesions are also visible on the underside of leaves(Image 2). 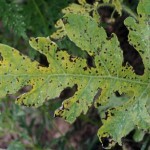 During damp weather, orange‑pink masses of spores develop in centers of larger leaf spots. During dry weather the spore masses turn gray. 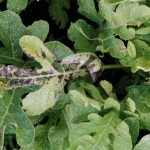 All but the youngest leaves are infected. 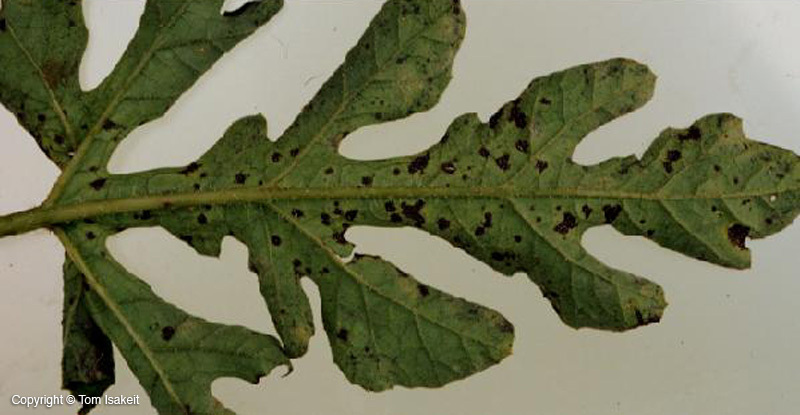 Lesions can coalesce, causing the leaves to die (Image 3). 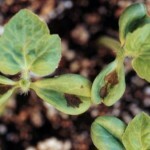 The disease can be seed borne and symptoms can sometimes be seen on young transplants (Image 4). 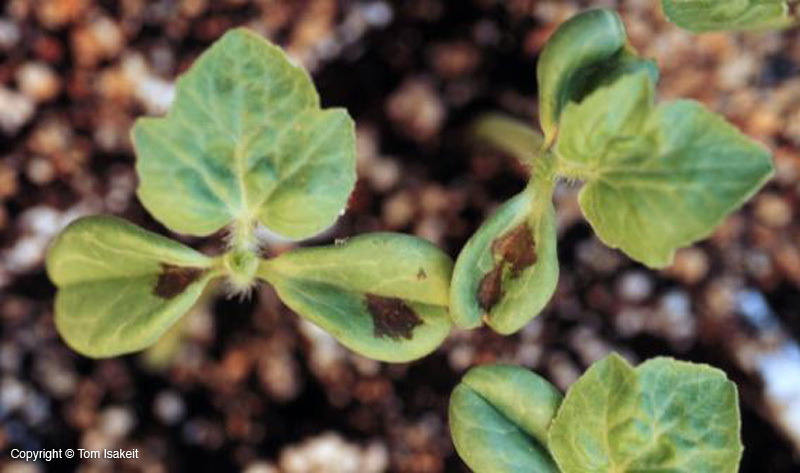 A combination of seed treatment, crop rotation and fungicide applications are necessary for controlling this disease on susceptible varieties. 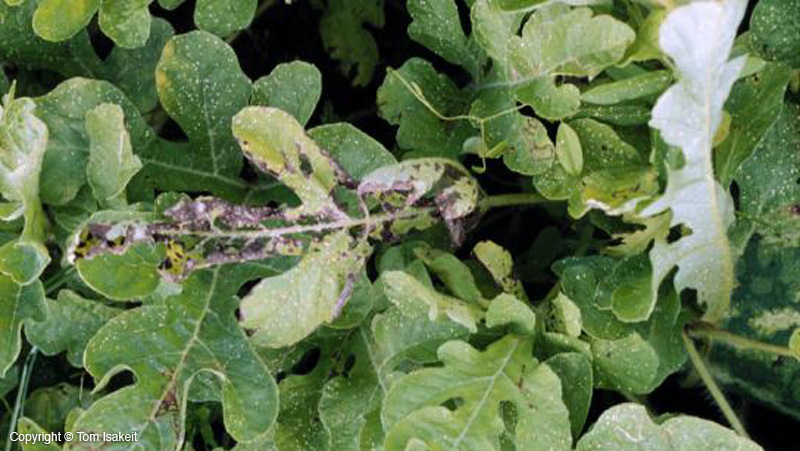 Protective spray applications should be made when vines start to run and should be continued at 7 to 10 day intervals during periods of humid or rainy weather. Schedules may be lengthened to 14 days during dry weather.